What is a Diff Locker? A locking differential (or diff locker) can make a significant difference in the performance of your 4wd in certain situations. You go on to any forum and you will see countless threads on the topic. Known also as diff-lock or locker, it is a modification to the standard automotive differential. Its purpose is to restrict each of the two wheels on an axle to the same rotational speed regardless of the traction available to each wheel. Although an unlocked differential is a fantastic feature in a vehicle travelling on hard surfaces such as roads, it can cause significant problems in some situations that four wheel drivers may find themselves in. Keep Reading to learn if investing in a diff locker is the right thing for you. So to understand how they work, it is firstly important to understand how a differential works and what it’s purpose is. Watch this video on how a differential works. The key point that is relevant in 4wd terms is the last point. That the differential allows the wheels to spin at different speeds. Further to this, the differential will direct power to the wheel that is easiest to rotate. Such is the nature of the differential. We go into more detail below but basically, a diff locker will force the wheels to spin at the same speed regardless of traction. In situation 1 above, when the wheels try to lift off the ground, the locked differential forces the wheels to spin at the same speed. The wheels on the ground continue to drive the vehicle forward and over the rock/ridge. The vehicle is able to navigate the obstacle easily and smoothly. Similarly, in situation 2, rather than the vehicle becoming bogged with two wheels spinning, the wheels with traction continue to spin and drive the vehicle forward. A four wheel driver will find that there are a number of situations where having a standard open differential will be problematic. Heavy articulation or “Flex” – This is probably the most common situation that a 4wd will find itself in where a diff locker will come in handy. In this situation, the suspension of the car is extended to it’s extreme. For example, when the left front wheel rides up a ridge while the right back wheel is running over a large rock. As you can imagine, this will result in the right front wheel and the left back wheel trying to lift off the ground. So as they lift, they lose traction. The wheels on the ground will have more resistance, and therefore power will be directed towards the wheels that are lifting up. Resulting in wheel spin and loss of forwarding momentum. 4×4 stuck. To get past the obstacle, most 4×4 owners will take a run-up. This results in damage to the environment and potential damage to the vehicle. Incongruous traction – Another common situation where a 4×4 may find a diff locker handy is in a situation where one side of the vehicle has solid traction and the other does not. For example, if the vehicle is driving along a track where one of the wheel ruts is dry and the other is under water. The dry side will have greater traction that the wet muddy side. The wheels with greater traction will resist and power will be directed to the wheels in the muddy rut. Result: Wheel spin and stuck 4×4. Non-4×4 vehicles only have one differential. 4×4 vehicles, however, can have up to 3. So what do these differentials do? Why are there 3? Well, the two that are located between the wheels serve similar purposes, but one at the front and one at the back. They allow the wheels to spin at different speeds. The centre diff allows the front and rear sets of wheels to spin at different rates. Why is this important? Because when cornering, the front wheels will travel further than the rear wheels and therefore need to spin at different speeds as well. 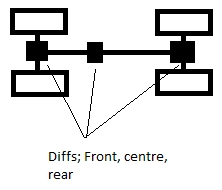 So while locking the front and/or rear differentials will force the wheels on the same axle to spin together, locking the centre diff will direct equal power to both the front and rear axles. There are essentially two types of locking diffs. Automatic Diff Lockers will detect when traction is being lost and will automatically lock. It will unlock again when it detects that traction has been regained. Interestingly, some automatic lockers work by permanently locking the differential and only unlocking it when one wheel is required to spin faster than the axel. These types of lockers will not allow a wheel to spin slower than the axel and drive mechanism. an example of an automatic locking (or unlocking) differential is the well known Detroit Locker. Manual Diff Lockers enable the driver of the vehicle to select when the differential is locked and when it unlocks. When the diff is unlocked it provides the full driveability of a normal open differential but gives the driver the capability to choose when the extra traction is required. The differential can be locked by the means of a switch or lever from the driver’s seat. 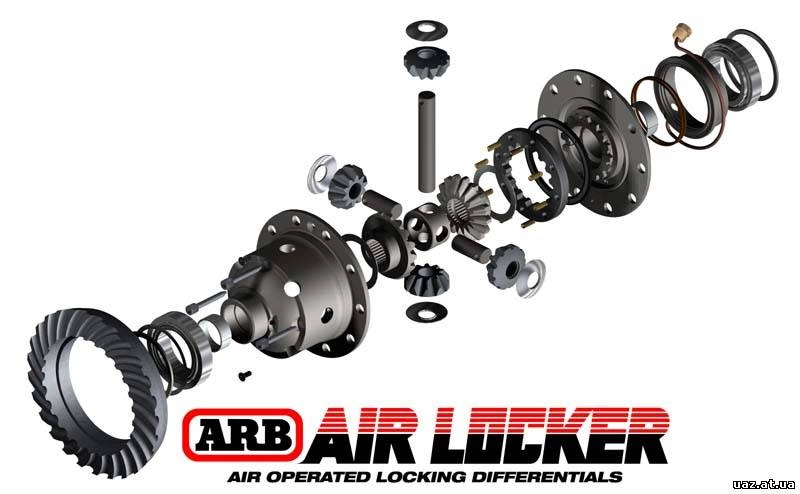 Examples of manual lockers are the ABR AirLocker which works with compressed air, the Eaton ELocker which used an electromagnet, and the Ox-Locker which uses a mechanical, cable-operated mechanism o lock the differential. It is important to note a few things at this point. With the differentials locked and all wheels spinning at the same speed, the tendency of the vehicle will be to go straight, even when you turn the steering wheel. This occurs particularly when the front diff is locked. So be careful there. With the differentials locked, it’s important not to drive on surfaces that don’t allow the wheels to slip a little. Surfaces such as solid rock or paved roads will grip the tyres. When you turn, the wheels will all want to spin at different speeds. With differentials locked, however, this won’t be possible. As you continue to corner, incredible strain will be placed on the driveline of your vehicle and will eventually cause things to break. This is called wind-up. So make sure you unlock your diffs and get out of 4wd before you hit the black-top. So does a 4WD need a rear diff lock? Both 2017 MUX and Fortuner have 2H, 4H, 4L and are considered genuine 4WDs. Fortuner has rear diff lock option whilst MUX does not but both have ABS anti lock brakes, Traction control, Electronic stability, hill descent, hill holder, EBD electronic brakes force distribution. All vids I’ve watched say that although MUX doesn’t have rear diff lock it really doesn’t need it cos of all of its other traction/stability options. 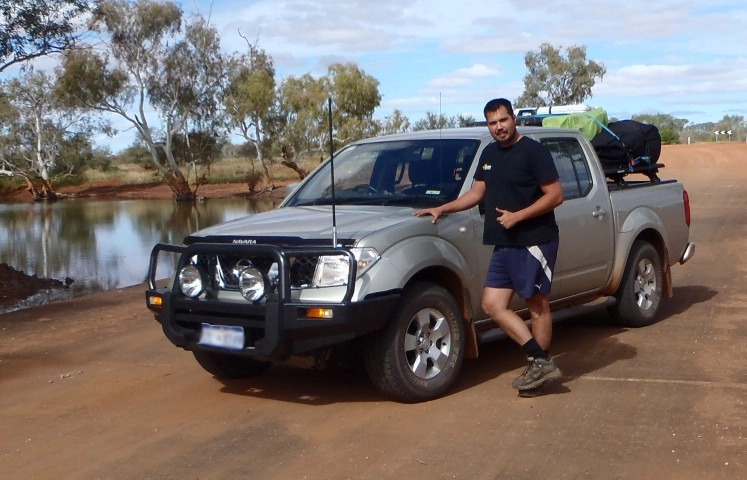 It would be good if it did but works like a full 4WD without it…does this make sense? Is this accurate? No a 4wd doesn’t NEED a rear diff lock. It just gives it an extra edge if it has one. A lot of cars say that traction control is good enough as a substitute. But traction control works by applying the brake to certain wheels to direct power where it’s needed. Some people might say that applying brakes will have the overall effect of reducing forward momentum. Perhaps it does, perhaps it doesn’t… Seems like it would to me though.